The Superstar actor Rajinikanth’s 167th movie with AR Murugadoss title and first look poster revealed today. The name of the upcoming movie of Ranjini is ‘Darbar‘. Lyca production is producing the movie. The first look poster was going viral and getting loads of positive comments so far in social media. Rajinikanth is doing a dual role in Darbar. Police cop role and Social activist role. Lyca productions confirmed that movie will be released on 2020 Pongal. The heroine of Darbar was already confirmed and it is none other than lady superstar Nayanthara. She already played a major role with Rajini in Chandramuki, a blockbuster movie. 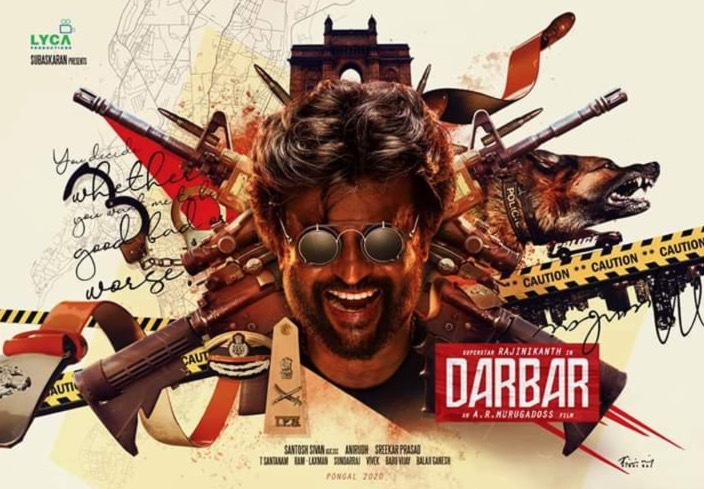 After a few minutes of the release of title and first look poster, more people started raising questions regarding Darbar meaning. Superstar 167 movie name Darbar meaning is “Court” or “Representative of Government”. But it is yet to be confirmed from the Darbar team. Stay tuned for more news updates regarding Superstar 167 Darbar movie songs and release news.